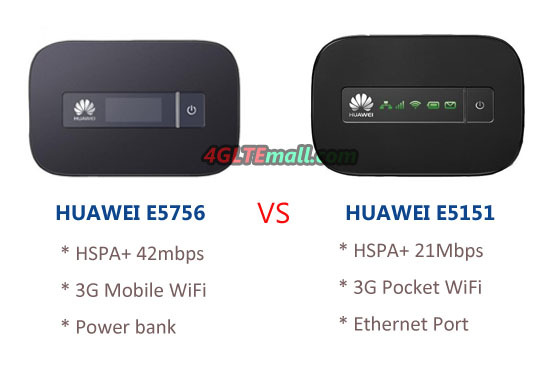 Will you choose HUAWEI E5756 or HUAWEI E5151 for Mobile WiFi? Around the end of 2012, HUAWEI released two new 3G HSPA+ Mobile WiFi Hotspot, someone may ask, why not 4G LTE HUAWEI E5776 or HUAWEI E589? Yes, the two 4G LTE Pocket WiFi are definitely hot with fast development of 4G networks. 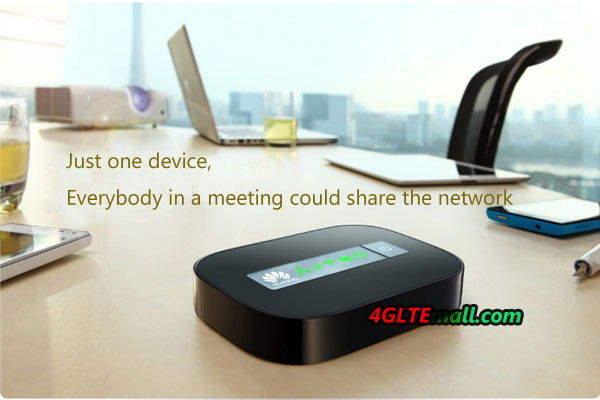 Today, we will not talk about the 4G mobile hotspot because for most of users, the 4G Gadgets are in high price range; they cost too much to enjoy something new. Only technology geeks are trying to follow new products. We choose HUAWEI E5756 and HUAWEI E5151 as our today’s topic because there is something special with the two models. 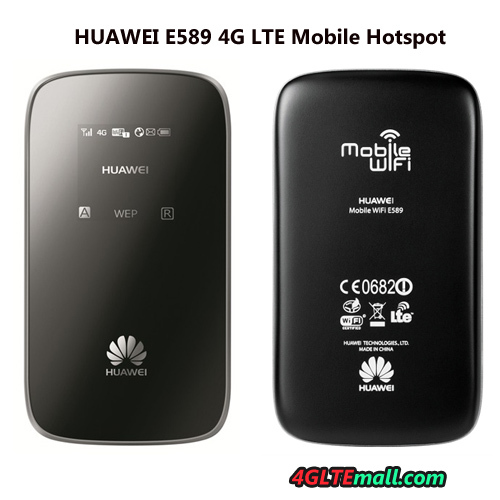 First, let’s look at HUAWEI E5756 42Mbps Mobile WiFi Hotspot. It’s like its predecessor HUAWEI E587, E586, E560, has the functions as E5, but supports 10 users to share WiFi network. With USB cable, one more device could access internet. And its peak speed reach up to 42Mbps under Dual cell HSPA+ technology. 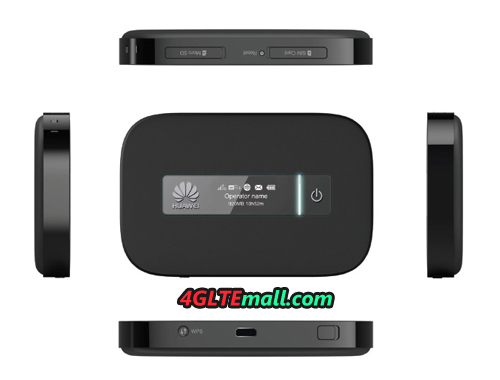 These features looks much like HUAWEI E587 42Mbps Mobile Hotspot, but HUAWEI E5756 have some special features such as it would work as a mobile power bank, which incorporates battery capacity of lasting 10 hours online usage. And it could output power to many devices such as iPhone, iPad, Android tablets or Smart phones. 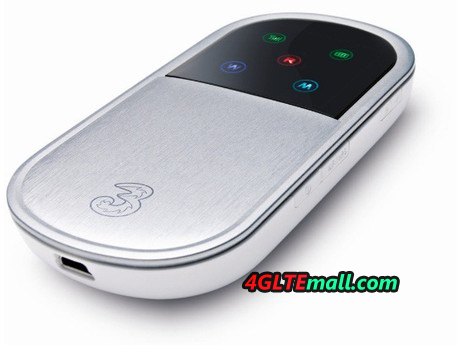 In case, if you are lucky to get HUAWEI E5756, you will get gadget with power bank and 3G WiFi router functions 2 in 1. What amazing! By the way, we found HUAWEI E5756 could support IPV 6, which are not compatible with by most existed network devices. So with this powerful function and practical application functions, HUAWEI E5756 would be HUAWEI new flagship model in near future. Then let’s look at HUAWEI E5151 WAN LAN 3G WiFi Router, it has the basic function as 3G Pocket WiFi to supports 5 users to access internet, keeping working at 4 to 5 hours with changeable battery. Peak download speed via 3G is 21Mbps. The main difference and also its key features is that there is a Ethernet port at the side this device, which means, if you are outdoors, you could take it around to let it work as a portable router; when you back home or in office, it could get connected with the Ethernet cable, then it becomes a stationary router to offer wireless signal. With Ethernet cable, HUAWEI E5151 could support peak download speed at 100Mbps. If you are abroad for business trip, it would be better to take this one, because you don’t need to find the shop to buy SIM card, if there is Ethernet cable for network, your multiple electronics could share network simultaneously. They are both in simple design and easy operation, and released for different application, but they are user friendly. Customer could choose the preferred one and enjoy the easy experience of surfing internet. In our opinion, if you have many electronics or gadgets demanding continuous power supply, it’s better to take HUAWEI E5756 Mobile Power Bank Router, but if you are a businessman who usually goes to different countries or areas, it’s better to take HUAWEI E5151 WAN LAN WiFi Router. 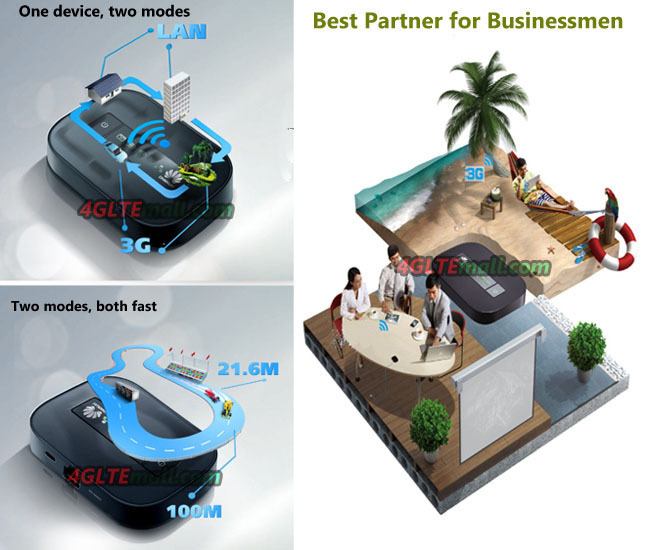 If you want to know more option for mobile WiFi hotspot, please visit: www.4gltemall.com . It would be lucky if you or your friend around have HUAWEI E5 Pocket WiFi Hotspot, you can easily share the wireless network via this device. 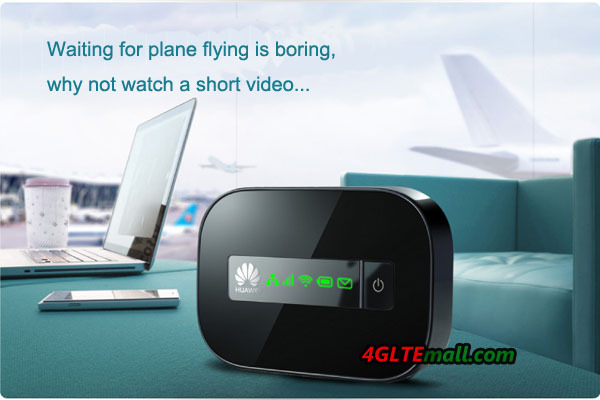 As the world leading Pocket WiFi Hotspot, more and more people get to know the star from HUAWEI Portable 3G Router. When traveling, business trip, outdoor acctivities, you may feel enjoyable and convenient if you have a pocket WiFi HUAWEI E5. So what is HUAWEI E5 Pocket WiFi? For Pocket WiFi, it’s easy to understand, but for HUAWEI E5, it could be a long but fantastic story. HUAWEI E5, the original factory model should be E583X, was firstly released at at the Mobile World Congress in Barcelona in February 2009. Japan was the first country to introduce this mobile WiFi Hotspot(named HUAWEI E5830) to demestic and launched to commerce. As the developed market for electronics, Japanese like this portable 3G router very much, which made HUAWEI E5830 (The frist generation of HUAWEI E5 Pocket WiFi). Per the report from HUAWEI, the sales record of HUAWEI E5 pocket WiFi reached 300,000 units at the end of 2009. Now more than 40 networks operators are ordering HUAWEI E5 and introduce them to their domestic electronic users. Of course, they are not introducing the first generation of HUAWEI E5, HUAWEI have already launched 4th generation Pocket WiFi E5. Let us see what’s the stars of 4 generations. As we introduced before, HUAWEI E583X opened the market for 3G Pocket WiFi based on its portability and easy use. The E5830s mobile Wi-Fi device connects to devices using its wireless interface, providing Internet access through any Wi-Fi device, mobile phone, game console, digital camera, notebook and PDA. Key features include: intelligent power control, temperature protection, web messages, web SD card information sharing, small screen page setting and screen display of statuses. Huawei announced the launch of its next-generation mobile Wi-Fi device, the E583C in July 2010. Huawei developed the E585 based on feedback from consumers and UK wireless carrier Three, including a start-up button and OLED display detailing information such as signal strength, 3G or HSDPA connectivity, number of devices connected to the hub, battery level, and the network being used. This improvement makes HUAWEI E585 and E583C easier to operate and connection status more visible. 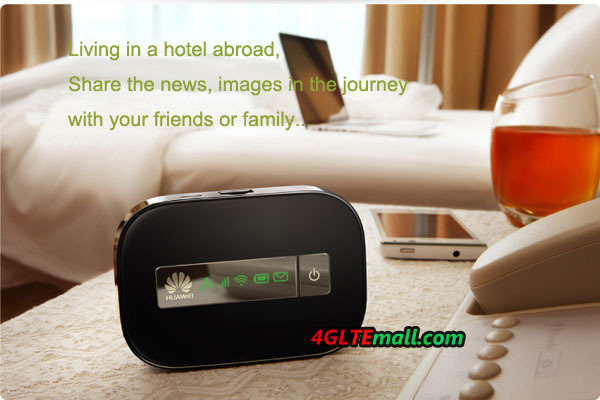 They are equipped with a personal mobile WiFi hotspot to support maximum of 5 compatible devices. Sometimes, with USB cable, users can get one more device to access internet. These devices include notebooks, iPads, or handheld gaming consoles etc..
Huawei E583C Mobile 3G Router seems more popular because it adopts a new design with a 1-inch color OLED display that shows information such as network operator details, signal strength, Wi-Fi connection status, and battery level. And with the external antenna, users in rural area or low signal area could have external option to enhance their connection speed. The E583c converts 3.5G HSPA mobile signal into Wi-Fi coverage, automatically creating Internet access and individual Wi-Fi hotspots for up to five Wi-Fi-enabled digital devices. It can also provide simultaneous Internet access to a sixth device when it is connected to a laptop computer via a USB cable. HUAWEI E583c Pocket WiFi Router should be a revolution model fro HUAWEI because from this model, HUAWEI began to sell HUAWEI E5 with their own brand, but they maintain the channel with the operators. It’s a time of strategy change, HUAWEI want to build their own brand, not just the producer for operator carriers. HUAWEI E560 Portable 3G Hotspot comes out recently, but seems it’s not a popular model because its price in high range and no more new style on this device, just copy the function of HUAWEI E585, and change appearance to HUAWEI E586, then E560 was born. The key features of HUAWEI E5 first generation is that they support HSDPA 7.2Mbps and 5 WiFi enabled devices could share wireless network (one more via USB cable). With the network upgrade, there must be new devices to support the higher network. Then HUAWEI E5 second generation comes out. HUAWEI E586 Mobile WiFi Router was ther first model for 2nd generation. 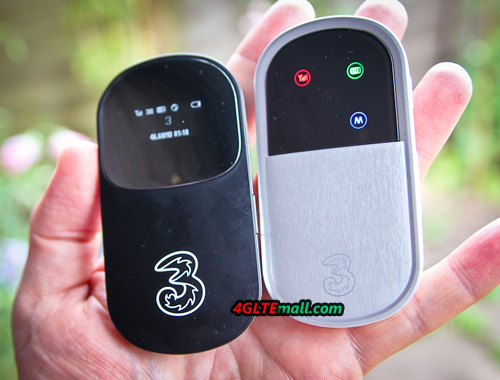 On 17 August 2011, UK Three announced its new high-speed mobile Wi-Fi device: the Huawei-built E586 MiFi, the first mobile Wi-Fi device in the UK to feature next generation HSPA+ mobile broadband technology.. But due to price, HUAWEI E586 3G WiFi Router seems not as popular as first generation models. If you use the device with contract, E586 is considerable. And there is branch model E586ES with external antenna ports. New WiFi hotspots follow to meet customers’ preference. HUAWEI E5331 Mobile WiFi comes out with very good price and slim appearance, it soon become the best seller in Middle East and Europe. It supports HSPA+ data service up to 21.6Mbps and HSPA+ upload up to 5.76Mbps. With connection time in only 5 second, it becomes more attractive to the users who want easy setup and fast connection with high speed link. 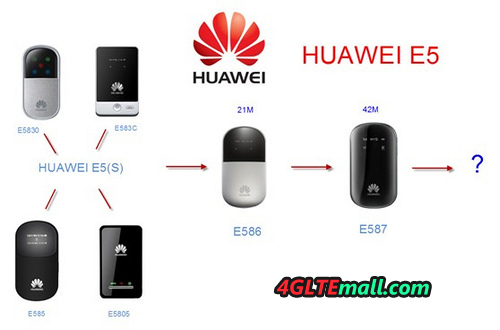 Few people know E5331 mobile HSPA+ router has a sister model HUAWEI E5332 with external antenna port. The main difference between them is the antenna. Other features are almost the same. Configured bands of E5331 and E5332 seem more appropriate for users in Europe and Africa. There is one special E5 pocket WiFi HUAWEI E5151. HUAWEI E5151 pocket WiFi is different from other 2nd generation HUAWEI E5 models because besides the features of 3G UMTS bands and HSPA+ speed, E5151 has an Ethernet port to connect Ethernet cable, which can transfer the WLAN to WiFi signal. So to some extent, HUAWEI E5151 Pocket WiFi is a mobile WiFi and WLAN router. In conclude, HUAWEI E5 2nd generation could support HSPA+ 21mbps and 5.76mbps, with support of 5 wifi users, with or without external antenna port. Consumers always want the network moving faster, and the wireless terminals. And there HUAWEI E587 42Mbps Mobile WiFi comes into eyes. With external antenna port and larger battery capacity, HUAWEI E587 HSPA+ Pocket WiFi help the users who need high speed transmission or game player to experience much better. The workmanship of HUAWEI E587 Mobile WiFi is much more exquisite than previous model. Looking back to the old models, the path somewhat like iPhone, at the beginning, iPhone 1 or 2 are not that well know, from iPhone 3, it become hot among users. When iPhone 4 appears, it’s the hottest mobile phones in the markets. Comparing with iPhone 3, iPhone 4 has much better workmanship and many improvements in performance. HUAWEI E587 Mobile Router somewhat like iPhone 4. 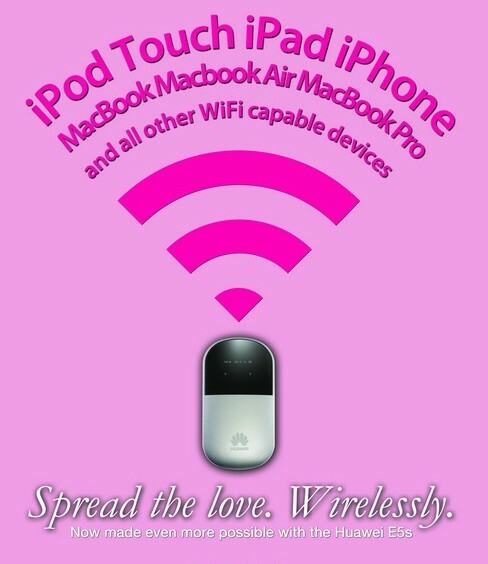 When you hand it, the feel is much different from normal pocket wifi. 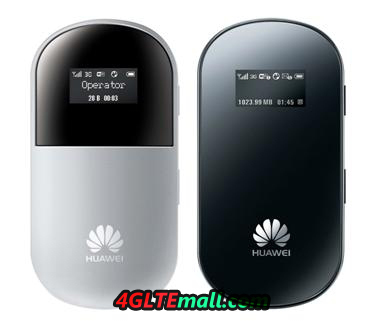 Now, there is a new pocket WiFi Huawei E5756 42mbps WiFi hotspot available now. Due to lack of enough information, we can tell what the difference between HUAWEI E587 and E5756 is, but one point is clear that there must some improvements in E5756, we suppose it like HUAWEI E5331 with better internal design and better solution for users. So the key features of the third generation of HUAWEI E5 family is download speed at HSPA+ 42Mbps and much better workmanship than predecessors. HUAWEI E589 4G Router is not the end of HUAWEI E5, actually, HUAWEI released another HUAWEI E5 4G Pocket WiFi Hotspot with HUAWEI E589. 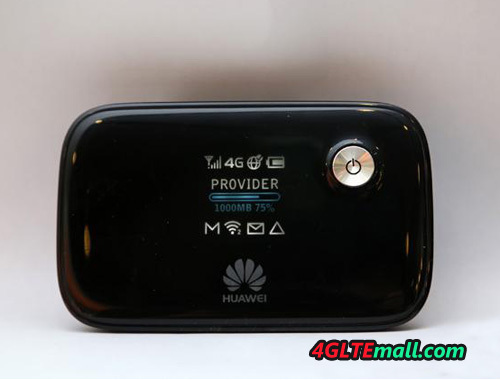 The model number is HUAWEI E5776 4G Mobile WiFi Router, which support LTE donwload up to 150Mbps. What a amazing! The same features of HUAWEI E589 and E5776 is that they could both support up to 10 WiFi enabled devices, which is almost the double of the first generation of HUAWEI E5 Models. So the fourth generation of HUAWEI E5 family is that they support 4G LTE network and upgrade of donwload speed. More up to 10 users could share the WiFi network. We believe more and more HUAWEI E5 mobile devices would be available in near future. And more and more consumers will enjoy the wireless world brought from HUAWEI E5 Family.